Johnson's theme is that all of our accomplishments are due to our beliefs: whether we're confident or insecure, cynical or positive, open-minded or inflexible. But it's difficult to change your beliefs - and with them, your outcomes. Find out how Hem, Haw, and the other characters from Who Moved My Cheese? deal with this challenge. 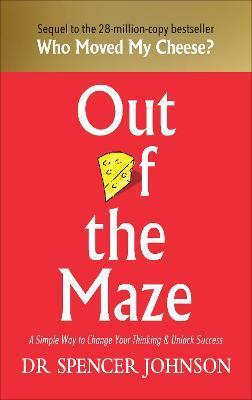 "Out of the Maze is a short, sweet, cheesy (yes) book – but it’s a calming, quick read and is likely to be in huge demand as an optimistic, accessible way to start thinking about change"
Spencer Johnson, MD, is the author of Who Moved My Cheese?, the global multi-million-copy bestseller. He is also the author of The Present and Yes or No, and the co-author of The One Minute Manager (R). His works have become cultural touchstones and are available in over forty languages. He died in July 2017.